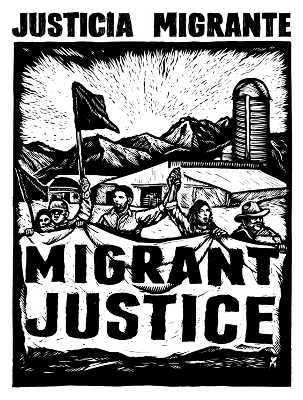 ﻿﻿Wheelock Mountain Farm is excited to spread the word about Migrant Justice/Justicia Migrante's newest campaign to ensure that Vermont dairy workers have dignified working conditions. We have a lot of change ahead if we're to live up to our state's image of clean, green, and friendly. The fields and cows may be picturesque and the dairy products wholesome - but what about the lives of people producing this bounty? In the Vermont dairy industry. . .